After trading in ten of their traditional and recognizable Crown Victoria police cruisers for new Toyota Camry Hybrids, the Arkadelphia Police Department is enjoying a quieter ride and considerable cost savings. Don Cleek, a veteran police officer in Arkadelphia, was against the idea from the beginning. Al Harris, chief of police, also had concerns about the speed and durability of the newer, greener vehicles. He worried that they would be to small inside and too slow for a high-speed chase or complicated maneuvering. Harris asked for a Chevy Tahoe and was denied. The city manager suggested he test-drive the Camry Hybrid. Overall, the program has been successful. The ten Camry Hybrids have performed much better than Harris and Cleek expected. Average fuel economy went from 12-14 miles per gallon to a money-saving 27 miles per gallon. The lower maintenance costs of the Camry fleet helped the city to a three percent savings in their overall annual budget. The Archadelphia Police Department is proud to set a new standard in acceptable patrol car fleets. They now have 16 Toyota Camry Hybrid police patrol cars and will add three more in 2016. Officer Cleek has changed his mind about the fleet of Toyota Hybrids. The Toyota Prius has experienced a reputation change that culminated with a much-loved Superbowl commercial last month. The Toyota Camry Hybrid is likely in for the same kind of image overhaul as it becomes a sought-after fleet vehicle. 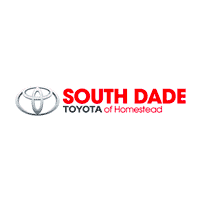 To learn more about how the role of Toyota Hybrid vehicles is changing in city and county government, and to explore possibilities where fleet purchasing is concerned, please contact us.